Custom paint jobs of smartphones, tablets, and notebooks have existed for quite some time now, and when you think of a premium service, ColorWare is the company that comes to mind. ColorWare stole the show when it unveiled that they would be able to paint your AirPods black or any other color you wanted to and the same thing can be done with the iPhone 7 Plus. 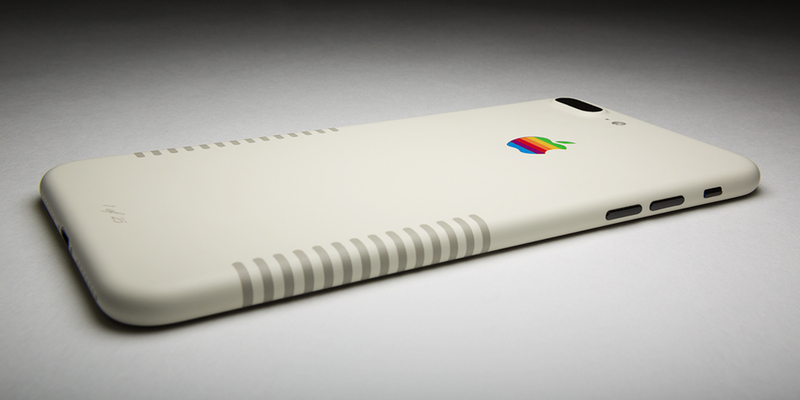 Being called the iPhone 7 Plus Retro Edition, it definitely gives you a nostalgic feel when you hold it for the first time but to own it, you will need to spend some serious money on it. 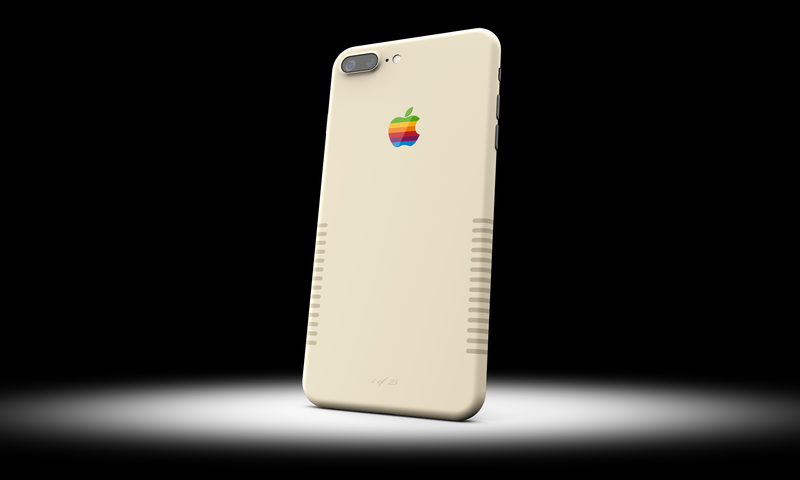 If you have $1,899 to spare for the new iPhone, and want to be taken back in time when Steve Jobs and Steve Wozniak sold the Apple I or the Apple II, then you will definitely appreciate the attention to detail that ColorWare has put on the iPhone 7 Plus Retro Edition. 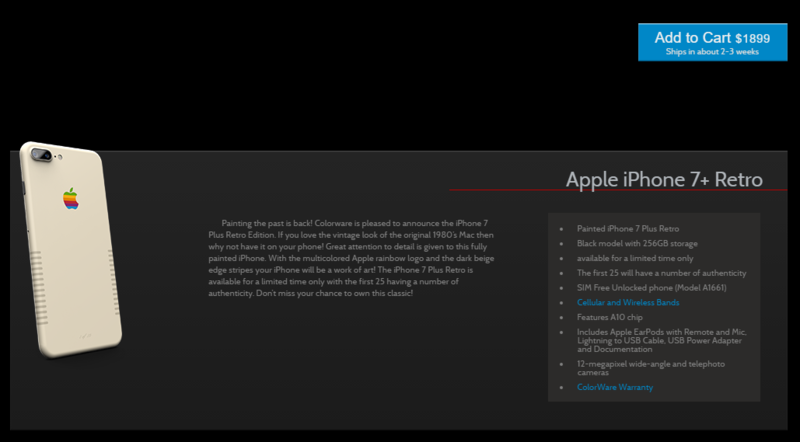 Available in the 256GB internal memory model, this is definitely a limited edition version, and according to the company’s website, the first 25 units will have a number of authenticity, showcasing that you were one of the first 25 individuals who shelled out so much money to gain a wave of nostalgia. In case you were wondering, no other hardware specifications have been changed. You will get the same A10 Fusion chipset coupled with 3GB of RAM, and the brighter IPS LCD panel with a resolution of 1920 x 1080. The packaging will include Apple’s EarPods (not AirPods), along with a Lightning to USB cable and USB power adapter. This is going to be the SIM-free model, so you will not be tied down to any carrier, but it will still cost you. With the amount of money they are charging, you are better off purchasing the 13-inch MacBook Pro model with Touch Bar. Despite the Galaxy S8’s Aesthetic Advantages, Apple’s iPhone 7 & iPhone 7 Plus Remain Top-Selling Phones in the U.S.